Best Western Plus Embassy Hotel Stay in the heart of Athens – Great location - show map One of our bestsellers in Athens! Situated in the commercial centre of Athens, featuring views of Lycabettus Hill, Best Western Plus Embassy Hotel features rooms with free Wi-Fi and a restaurant serving snacks and drinks. The Best Western Plus Embassy Hotel offers rooms and suites of varying sizes, each fitted with a flat-screen TV and air conditioning. A tea / coffee maker is provided for each room. A fully equipped conference hall for meetings, seminars and private events is available at the Plus Embassy Best Western Hotel. 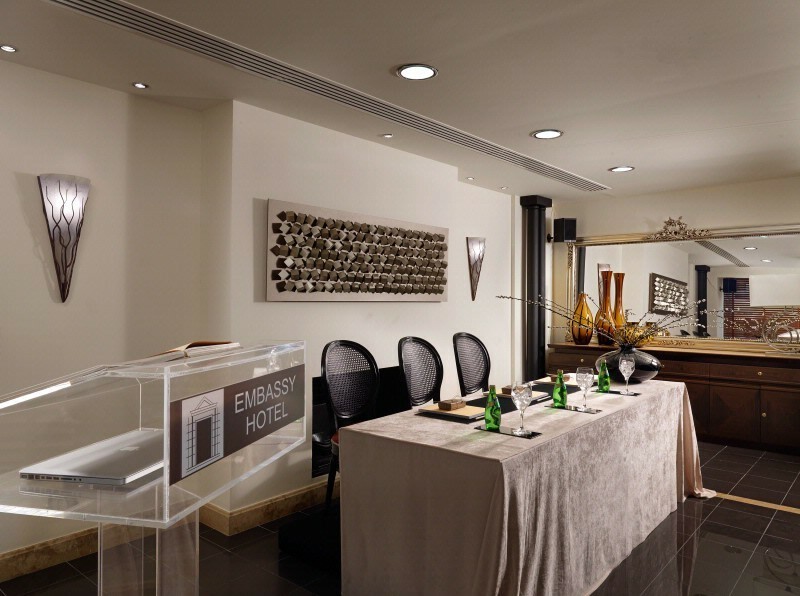 Best Western Plus Embassy’s front desk is open throughout the day and can help with various enquiries. It also has an on-call doctor, who is available on request. 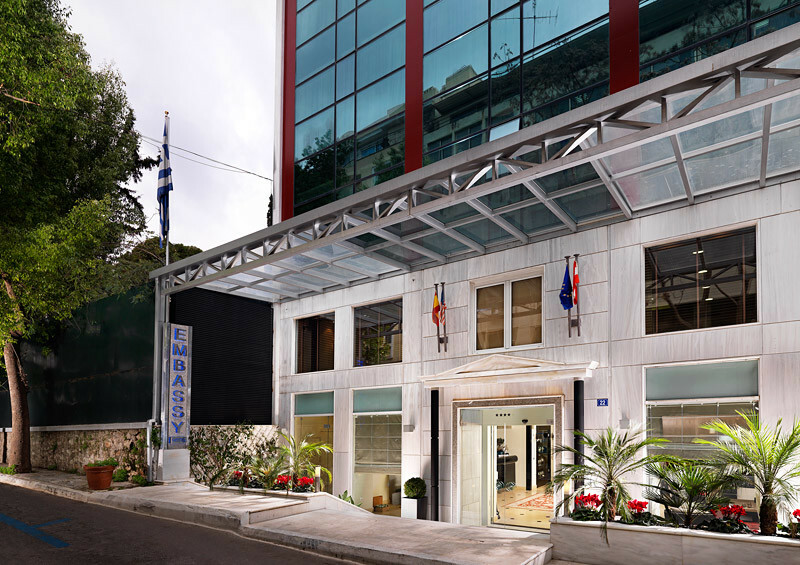 The Plus Embassy has a safe location next to the American Embassy and less than a 10-minute walk from the Athens Tower. The hotel is 300 m from Megaro Mousikis Metro Station and 250 m from Ambelokipi Metro Station. Enjoy our high level transfer services to/from Best Western Plus Embassy Hotel and all over Greece and we promise you the best transfer prices without waiting at airport, port, station and without hidden debits.